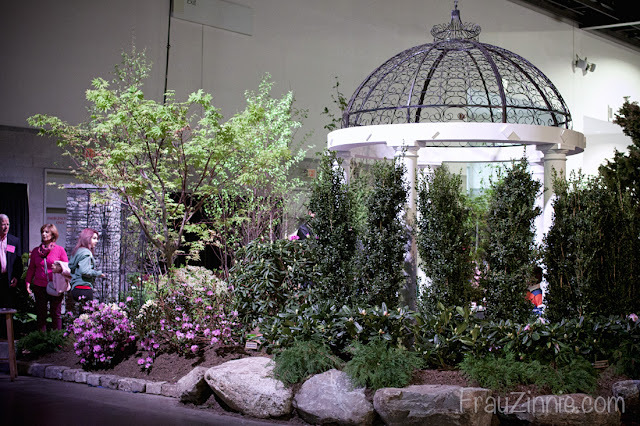 PROVIDENCE, R.I. - The 24th annual Rhode Island Spring Flower and Garden Show was a four-day event held at the Rhode Island Convention Center. On Saturday, I drove to Providence to visit the show for the first time. While it is smaller in size than the Connecticut Flower and Garden Show, which runs during the same weekend, there were many display gardens and unique artisans selling their wares at the Rhode Island Convention Center. 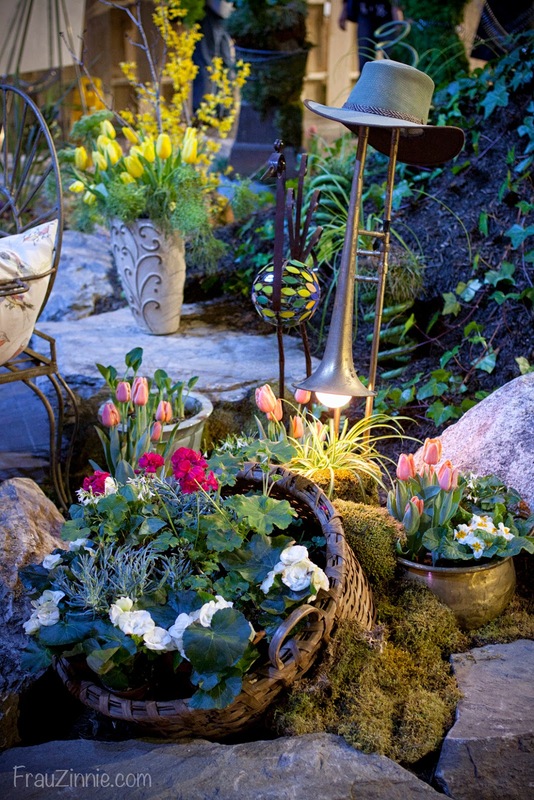 This year's theme was "Spring Fling," which was echoed successfully throughout the display gardens and entries submitted through the Rhode Island Horticultural Society. Below is a photo montage of some of the interesting plants and displays I came across on Saturday. A carved stone bench by Joe Grey. 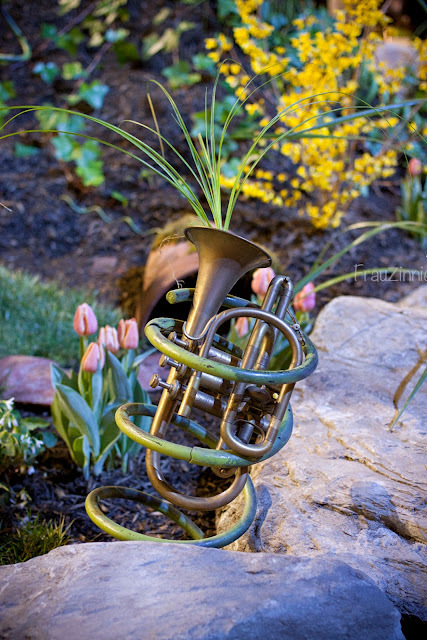 A trumpet on display in the Vetra Organic Landcare exhibit. 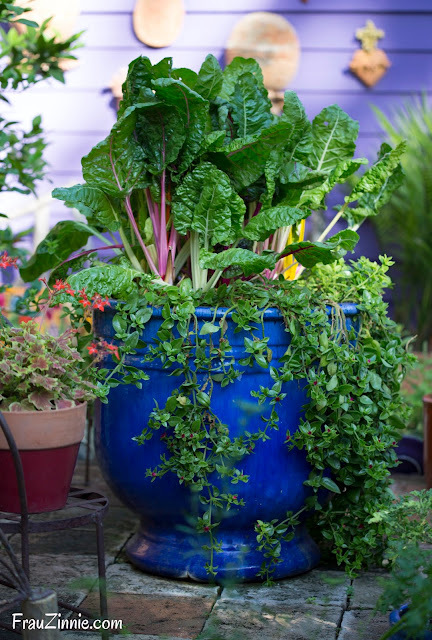 Another side of the Vetra Organic Landcare display garden. What a cool use of instruments! 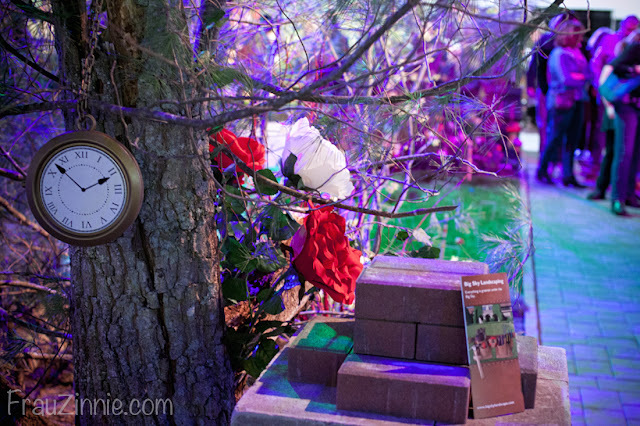 An Alice in Wonderland theme was incorporated in Big Sky Landscaping's display garden. 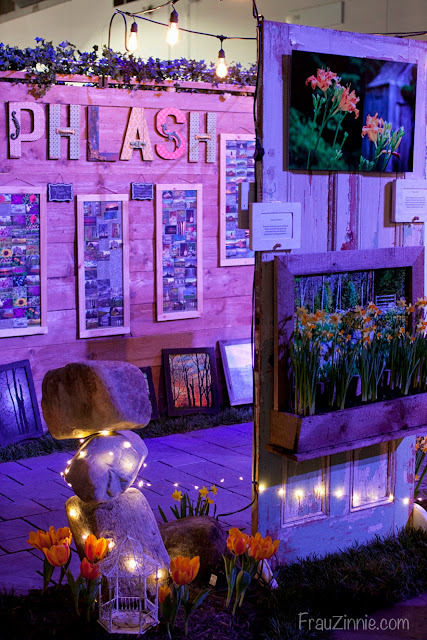 I was totally blown away by the display setup for Phlash Photo. This shows only one side. The other side was a photo booth area for visitors to pose in. 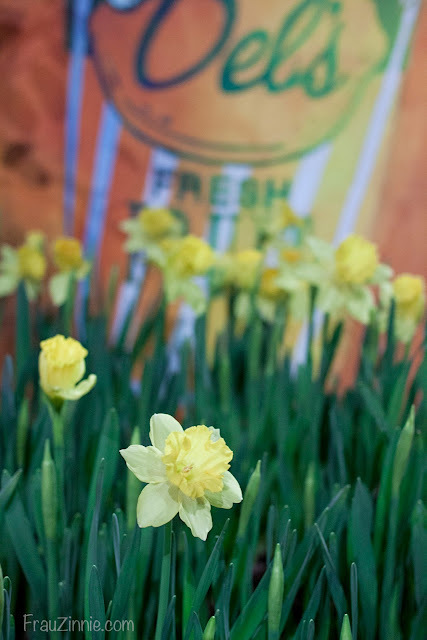 intertwining daffodils with Del's Fresh Lemonade. Mr. 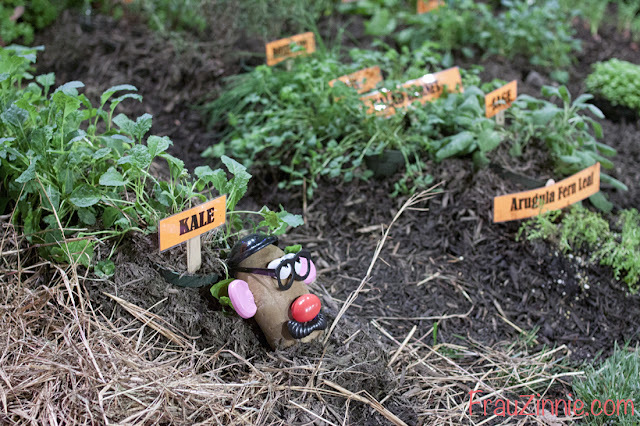 Potato Head was a part of Groden Network's display vegetable garden. I'm not aware of the connection to Rhode Island, however! 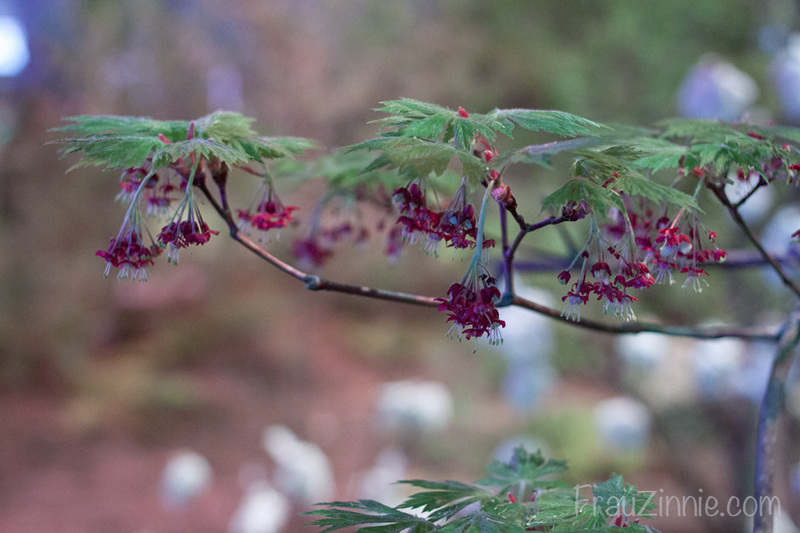 Acer jap. 'Aconitifolium' in the Rhode Island Wild Plant Society's display. 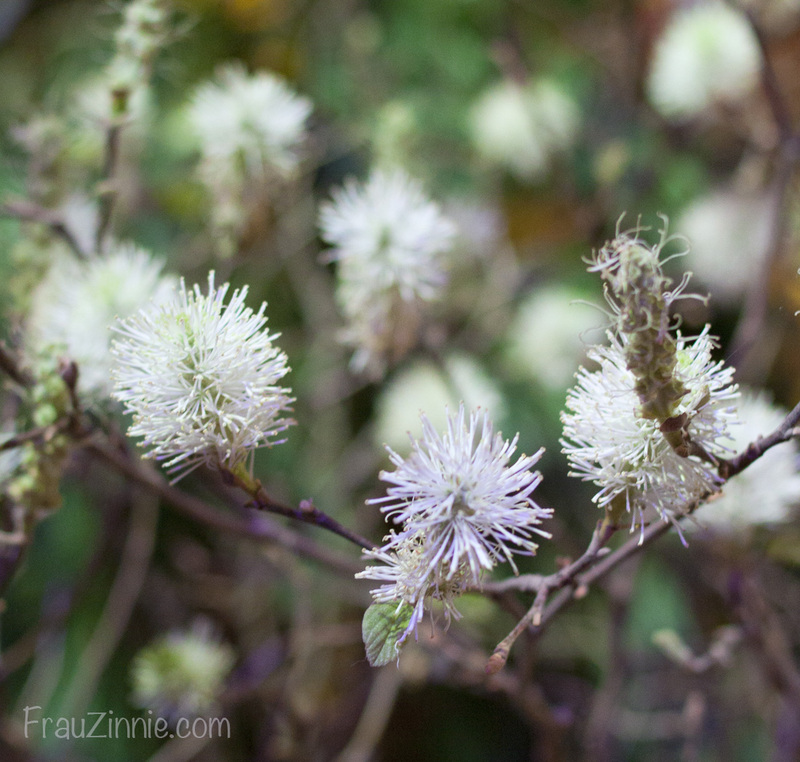 Fothergilla in bloom in the Brightview display garden. Yard Works, Inc. stole the show with their depiction of "Tea Party at Rockefeller's Garden." 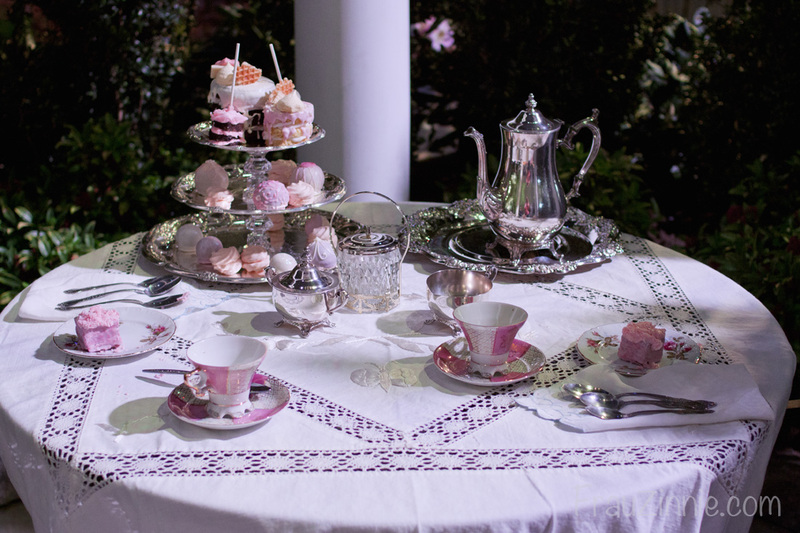 The table in Yard Works, Inc.'s display was set for afternoon tea. 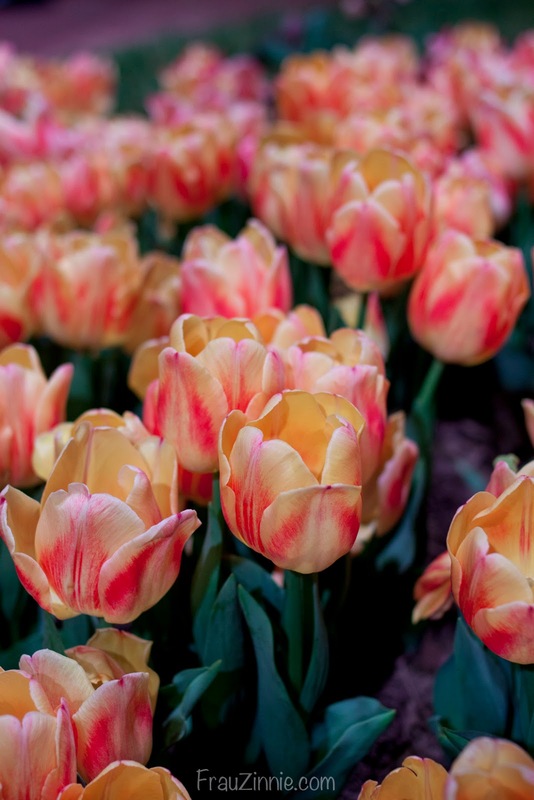 Tulips played a major role in Yard Works, Inc.'s display garden. 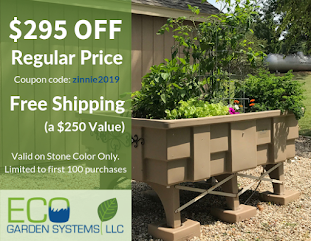 "Luscious Lime" category, submitted by Linda Lacroix of the Tiverton Garden Club. 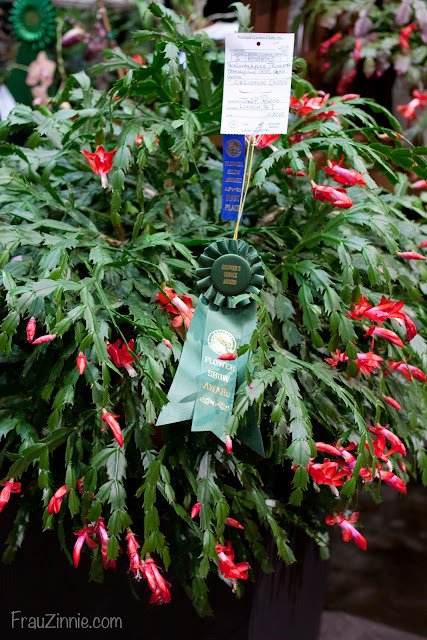 first place and the Grower's Choice Award in its category. 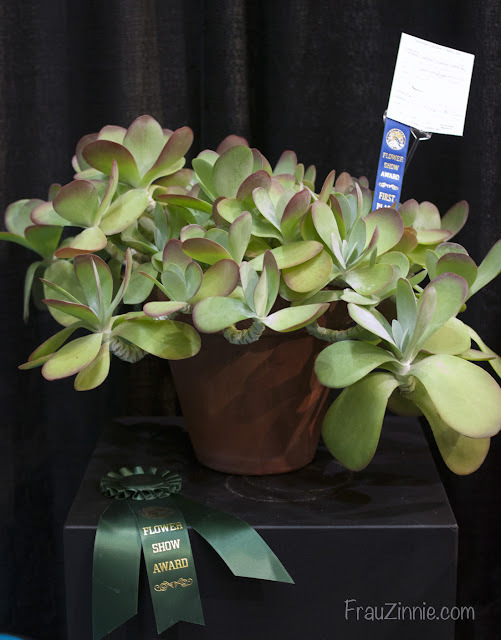 Another first place finish for this succulent. 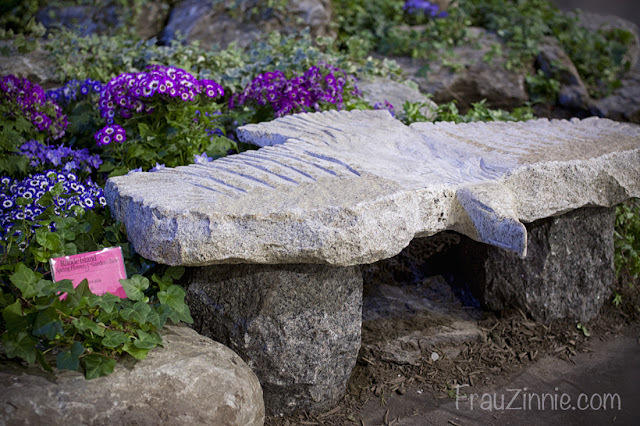 Carol Granville won an honorable mention in the "Spring Equinox - Night" category. These are looking very beautiful. So glad to have a glance at these photos. 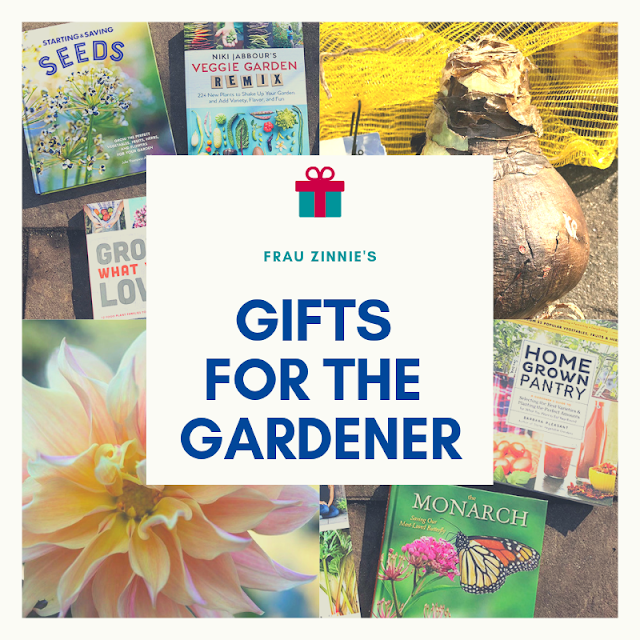 I also have been planning to attend the flower show for getting the ideas for wedding floral decorations for our special day. These shows and expos are quite useful for us. 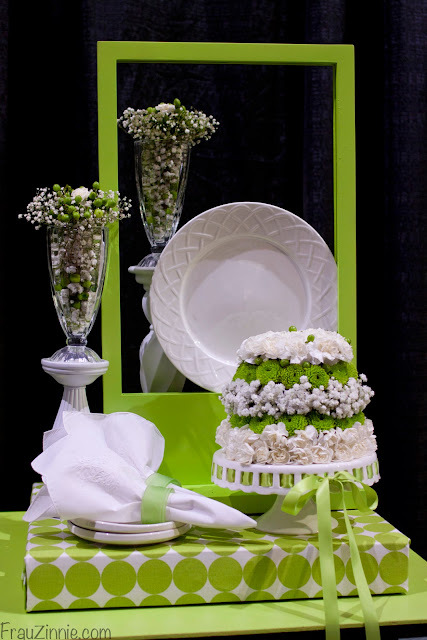 Recently attended the bridal expo at convention center and it was just so good.